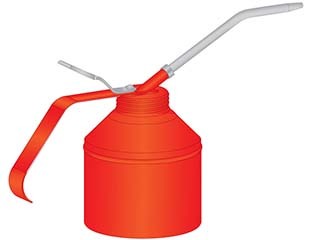 Oil cans are a common sight in garages and homes and are popular for use in general maintenance applications such as for bicycle chains and door hinges. They also serve to lubricate flush type fittings such as the H1815. 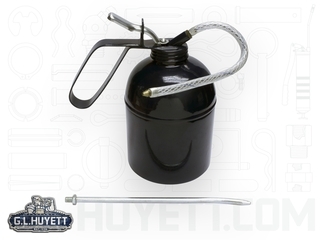 Oil cans are compatible with light oils and lower viscosity fluids. They will not work with lithium grease.